Rachel and her staff were amazing. I am so glad we found Rachel to help us with our big day. She did an amazing job and made our lives so much easier and you can tell she and her staff really care about your big day. She was responsive, had endless suggestions for vendors, and was incredibly organized. We hired her for the month of and day of coordination. She had everything ready to go, making it so that all we had to do was enjoy the time with our friends and family. Rachel was so helpful, especially for our out-of-state planning! We hired her as our month-of coordinator, and she did a great job giving us a framework and a plan for getting everything done, month by month, which was great for our busy schedules and type A brains! Her main job was the "month of," but she was wonderful about answering our many questions over email during the year of planning that preceded that month, and for that we are so grateful! We didn't end up hiring her as a true "planner," so we ended up doing all of the hiring and planning of the actual wedding weekend, but she was so helpful along the way and was such an asset as the wedding got closer! She was great about helping us coordinate all the vendors---I was SO GLAD we had hired her to do all of those week-of/day-of logistics! It took such a weight off to not have to do any of that ourselves or have our wedding party or parents have to worry about any of it. She is kind, professional, and easy to work with---would definitely recommend Rachel!! Rachel and her team were absolutely wonderful coordinating and executing our wedding rehearsal and wedding day. We chose her month-of package and it was exactly what we needed. I loved being able to be hands on and to incorporate my DIYs. Rachel was a HUGE help in coordinating with all our vendors, venues, and ceremony musician. Rachel always brought a sense of calmness and ease, and her and her team brought the whole event together. I know you won't be disappointed with her on your side, no matter your vision! If you’re reading this Rachel, we want to sincerely thank you and your staff for orchestrating the best day of our lives. Without your help, we can’t begin to imagine how hectic and chaotic the wedding would have been - because we still can’t believe just how incredibly amazing you made everything turn out. From setting up the venue, orchestrating the countless number of vendors, family members, and friends asking for things to do, and moving things along ever so smoothly, your guiding influence can not be overstated. To anyone considering a wedding planner, I could not recommend MasterPiece Weddings any more highly. She worked with us for months, provided suggested timelines for each week/month leading up to our wedding date, and thoroughly assisted with venue details and a schedule for the day off. The day before our wedding, she helped perfect things during the rehearsal, and on the big day, unexpected problems were taken care of before either of us had any idea clue they occurred - and that’s not an exaggeration at all. The reception hall was utterly transformed into something out of this world - far beyond what we had expected. Everyone Rachel and her assistants interacted with, from our family members to groomsmen who provided appetizers, had nothing but glowing things to say in regards to how helpful and ahead-of-the-game she was. Again, thank you MasterPiece Weddings so much for making our day perfect! Working with Rachel and her team at MasterPiece Weddings was wonderful! She was so kind and helpful and really took the stress off us leading up to our wedding and especially the day of. I knew we were in good hands when all of our other vendors were excited to be working with Rachel - "she is the BEST! You are going to love her" they said - and they were right. Aside from everything running smoothly and looking perfect the day of, she took charge when we decided the day before during our rehearsal to change to the ceremony location. This was a very last-minute decision and she made it happen! If you are looking for wedding planning in the Gainesville area, I would absolutely recommend MasterPiece Weddings! *One additional thing to note that I thought was unique about MasterPiece is that they offer different levels of planning and add-on options...the customization really helped us obtain the services we needed within our budget. Definitely a plus! Rachel and her team are seriously worth every penny. I hired her as a month-of coordinator. We are an out-of-state couple, so I was anxious about planning a wedding from far away. However, Rachel was incredibly helpful from the get-go. She gave us suggestions for local vendors while I was still planning; is knowledgable about Catholic wedding masses; and had worked with the Florida Museum of Natural History, where we had our reception. She and her team were at the rehearsal and kept track of all the details. On the day of the wedding, I did not have to worry about a single thing. She and her team took care of all the details both at the church and at the museum and helped keep things running smoothly. They even laid out our decor beautifully. I'm incredibly glad that I hired MasterPiece Weddings for my wedding. The amount of positive things I have to say about Rachel are endless! 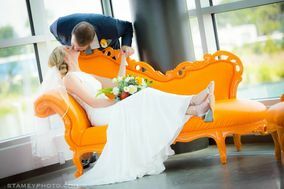 While she does a phenomenal job of keeping your wedding planned, organized, and running smoothly - she does so much more! She is incredibly sweet, king, and genuinely makes a bride feel her best on her wedding day. She does whatever she needs to do to make sure everyone feels at ease during the most hectic day of your life, and she feels like a friend while doing it! I could not recommend her enough! Rachel and her team are seriously amazing. My wedding had a lot of moving parts, and Rachel put me at ease and made everything run so smoothly. Thank you!!! Rachel and her staff were phenomenal! My husband and I were able to focus on enjoying our day, family, and friends because as far as we know our wedding day went off without a hitch. Leading up to our wedding she was quick to respond and had great advice about how to make our day even better. During the wedding and reception she kept everything on schedule, made sure everything was taken care of, and had an emergency kit that contained pretty much anything you could imagine. She definitely knows what she is doing! I am smiling ear to ear just writing this review. Rachel was simply fabulous. She executed our day with such precision, it really was a fairy tale. I am still amazed at all the little details that she took care of and just how much responsibility she took on and yet she always seemed willing and able to do more if needed, she never seamed busy or rushed, she has incredible grace. Rachel is not just a planner, Rachel is a miracle worker, she is a problem solver. Rachel had our backs, I cant thank her enough and it seriously brings me to tears just thinking about how much it meant to us to know someone thought so much of our day and all the details and could execute something so magical all for us to enjoy without us having to stress out. I would highly recommend booking with MasterPiece Wedding. This team worked tirelessly the day of our wedding to ensure everything went as planned. Our wedding was wonderful in large part to the advise and guidance that MasterPiece provided. If you do nothing else, hire Rachel and her team as your wedding planners. You may think you can do it all, but it's far less stressful to let these wonderful ladies take the wheel. Rachel contacted all of my vendors to coordinate final payment amounts, arrival times and confirm orders. She always responded to emails quickly, was super helpful in creating a wedding day timeline and updated us on any important issues that came up. The team helped us finish setting up before the wedding and made sure everything ran smoothly. Rachel even loaded us up in her van with the photographer in search of the perfect photo spot! These ladies are the absolute best and we are forever grateful for everything they did to make our wedding day a huge success. Your road trip to the wedding day will be a million times happier and less stressful if you get a wedding planner, especially if you have Rachel! I booked MasterPiece Weddings for the month of my wedding, and I can't imagine what I would've done without her. All I had to do was show up and she orchestrated the beautiful wedding I envisioned. On top of that she's incredibly sweet, super prepared for ANY mishap (just take a peek at what she carries in her bag on the wedding day) and easy to work with. Thank you Rachel! Rachel and her team at Masterpiece Weddings helped my dream wedding come to life. When I first sat with Rachel I had no idea what I wanted, just a direction I wanted to go in. I through all sorts of random ideas at her (reception at the Florida Museum of Natural History, dinosaur cake toppers, a magic trick after the father/daughter dance, etc.) and she was so supportive of my vision and helped me focus it into reality. Her team set up all my centerpieces and made sure all the details of the decor were spot on. Not only that, but we were the first couple to use the Harn Museum of Art as our ceremony venue and everything went so smooth! Rachel is definitely the person you want guiding you through your big day, trust me! We couldn't be happier with her and her team. We are older newlyweds and with age comes wisdom. Using Rachel and her team was the best decision we made. From the first time we met Rachel we knew she was right for us. She gave us a schedule that was priceless for keeping on tract since there are so many things to take care of. Her advice was always honest and sincere. Her smile is a reflection of her heart of how much she loves what she does. Our day was perfect for she made sure of it. We hired a wedding planner.....but made a friendship. ALWAYS will recommend Masterpiece Weddings to everyone! Rachel is absolutely amazing! From our first meeting, my husband and I felt so comfortable with her. She kept us on time with all of our deadlines throughout our planning and was always available for my 'million and one' questions about the wedding! My wedding was scheduled right when Hurricane Matthew was coming through our area and she helped change and fix plans that fell through and even did my rehearsal the morning of the wedding when it wasn't safe for us to rehearse the day before. Rachel and her team went above and beyond all day for us (which ended up being at least a 12 hour day for them)! Throughout it all, Rachel and her team were professional, but also felt like family. I did not worry about a thing all day because I knew Rachel and her team would make sure the day went perfectly - and it did! I highly recommend Rachel and Masterpiece Weddings to every couple getting married! We could not have done it without her! Thanks so much Rachel! I am so grateful I found Rachel and her incredible team! Masterpiece Weddings was one of the first vendors I booked, and I truly would have been lost without them during our engagement! Rachel was so helpful recommending additional vendors and she helped everything fall into place so perfectly and effortlessly. She was always a phone call, email or text away, and was always incredibly quick to respond, even on an evening or weekend. From the early stages of planning, to the final details meeting and just minutes before I walked down the aisle, Rachel was right there when I needed her. I couldn't have asked for a better wedding coordinator, and now post-wedding, I am so happy to call her a friend! Our wedding day truly wouldn't have been the same without Masterpiece Weddings and I cannot recommend them enough! I planned my Gainesville wedding from the DC area and I knew I needed to hire a month of coordinator to help with all the final touches. I visited FL a month before my wedding date and met with Rachel for the first time and left feeling so assured that all the final details would come out perfectly and they did! The weather forecast leading up to my wedding weekend was terrible, 100% chance of rain all day Saturday...I didn't want to talk about a plan B (our wedding was completely outdoors, ceremony and reception) but leading up to the big day, Rachel calmed my nerves and worked with my caterer to come up with a backup plan if we needed coverage. Thankfully, the weather cooperated and we were able to stick with our original plan. Throughout the whole day, I always felt like everything was handled by Rachel and her team so I never felt anxious or worried. If you are planning a wedding in the Gainesville area, you MUST hire Rachel...she knows so many vendors already in the area and her professionalism and love of weddings is top notch. She exceeded all of my expectations and if there were any issues, she knew had to handle them and helped make my wedding day perfect! Working with Rachel was a joy! Our special day was perfect and we couldn't have done it without Masterpiece weddings. We would recommend Masterpiece weddings to any couple. Rachel and her team made our day run like a dream. For example: hours before the ceremony my mother in law was stressing about the flower arrangements languishing in the sun. For Rachel and her team this was an easy fix. While the family was running around in the last hours before the wedding, they set the flowers in the shade and made sure they were in their right spot before the ceremony began. This is just one small example of how they made the day stress-free and easy. Thanks again Rachel! I planned my wedding from afar and I also knew I wanted to have someone in charge of all the details on the big day so I wouldn't have to stress about anything. From the first time Rachel and I spoke on the phone, I knew she was the right person to do the job. Her demeanor is calming yet professional. She is very familiar with the best local vendors and venues. Leading up to the to big day, she was available via email whenever I had any questions about anything, from vendors to wedding etiquette and everything in between. During the rehearsal and day of the wedding, she and her team were on time and took care of everything. All the items they set up at the reception looked amazing, they handled all the recorded music at the ceremony and helped guide us along through the evening's scheduled events. Everything went as planned according to our timeline and that was in no small part due to their efforts. On top of her planning services, Rachel also provides some decor items for an additional cost. She drew up a few different chalkboard signs for our reception that coordinated with our theme and they were so so cute! I got lots of compliments on the signs and her services on the big day. Would highly recommend - (very reasonable amount of) money well spent! I am so glad that I had Rachel there to help me prepare for my wedding and there for the day of. In the weeks leading up to my wedding she made sure to keep tabs on all my vendors and she made sure everything was running smoothly. Rachel was also great at advising me when I needed help making decisions (specifically helped me a lot with figuring out my floral arrangements). She is so knowledgeable in everything wedding and such an easy to person to talk to! Rachel was always quick to respond to any email and always had the best answers to my questions! I would highly recommend Rachel/Masterpiece weddings to anyone! When my wedding day arrived I was not stressed and the only thing I had to do that day was get my make up and hair done, get dressed, and get married! I was able to enjoy my day without having to worry about setting anything up or answering questions from vendors. When Rachel and her assistant weren't managing everything going on they were checking in on me and the wedding party. I can't say enough wonderful things! I am so happy with my wedding, it was a perfect day and I know I owe a great deal of that to Rachel and her team! I really don't know where to start here, there is so much to say. When we met Rachel the first day in Starbucks we were in need of direction and guidance. Fortunately, this is part of what Rachel does with her Adventure Timeline. She outlines the wedding planning process. After our initial meeting, not only did I realize we couldn't pull this off with out her services, but that I needed to secure her for our date immediately. Believe me, I am not one to do that so quickly..
Now that the wedding is over, I would hire her and her staff many times over. She answered her emails within a timely manner, and rose to every challenge we had. When we needed her to come to our dress alteration appointment for my daughter, this was no problem. She assisted in the three layers of dress pinning up from ceremony to reception so none of us had to get on the ground and do it. Believe me, I could go on and on...we were pretty much a diy group, however, you still need the help of a professional if you are going to enjoy the day and see them get married. She coordinated rehearsal and the ceremony, took my 911 calls in between. Went to my final details meetings for flowers and food with us and her staff put our centerpieces out for us. She did many more things for us as well. i can only thank Rachel Griffin and her staff from the bottom of my heart. Your help meant everything with the success of my daughters Wedding! I can't imagine not hiring you.